Jenette Kahn wrote a book that was published during her last year as Publisher of DC Comics. Probably it escaped the notice of most comics fans since it has not too much to do with comics, but we leave no stone unturned here in the hayfamzone. Entitled In Your Space, the book is all about interior design. 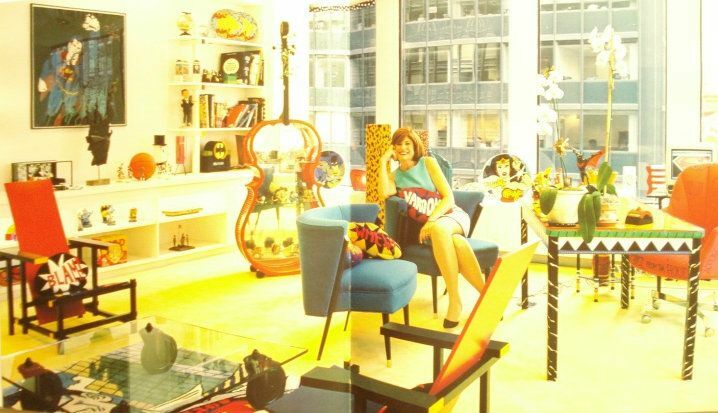 Ms. Kahn wrote about decorating her homes as well as her DC Comics office. Designer Milton Glaser is mentioned for one paragraph; he is the gentleman who designed the much-beloved DC bullet logo for DC Comics in 1976 at the request of Ms. Kahn. I have found quite a bargain for you if you would like to own this book.